Internationally acclaimed musician/composer Deuter has become known as a pioneer, combining contemporary and traditional musical forms. He has created music that is at once meditative and inspiring. This long-awaited album from Deuter celebrates the essence of the sun with captivating melodies brought to life with spirited flute, synthesizer and drum. 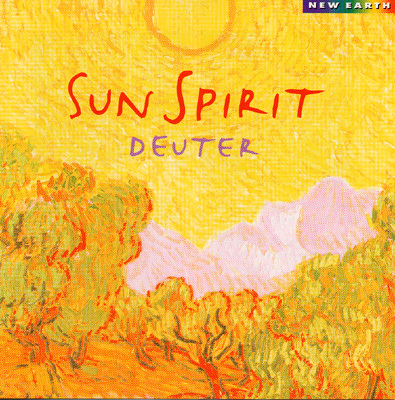 "Sun Spirit by Deuter feels like a musical dance. To compare the auditory experience to a visual one, listening to this CD is like walking into a garden with walls of multicolored flowers with the technicolor turned up to 11 on a scale of 1-10. But to do the analogy justice you would have to dance through the garden and feel the energy of the flowers in your whole body.